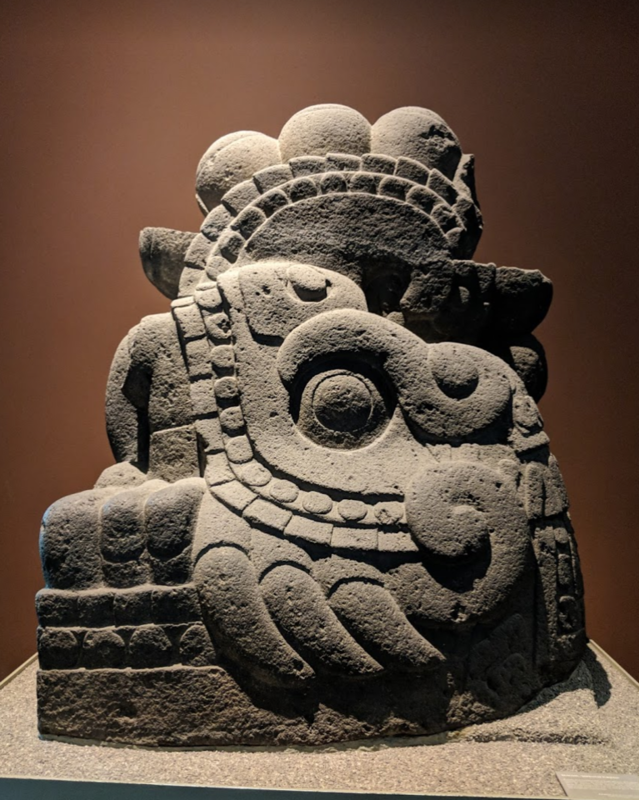 Mexico City has more than 150 museums - and they are incredibly rich and vibrant! 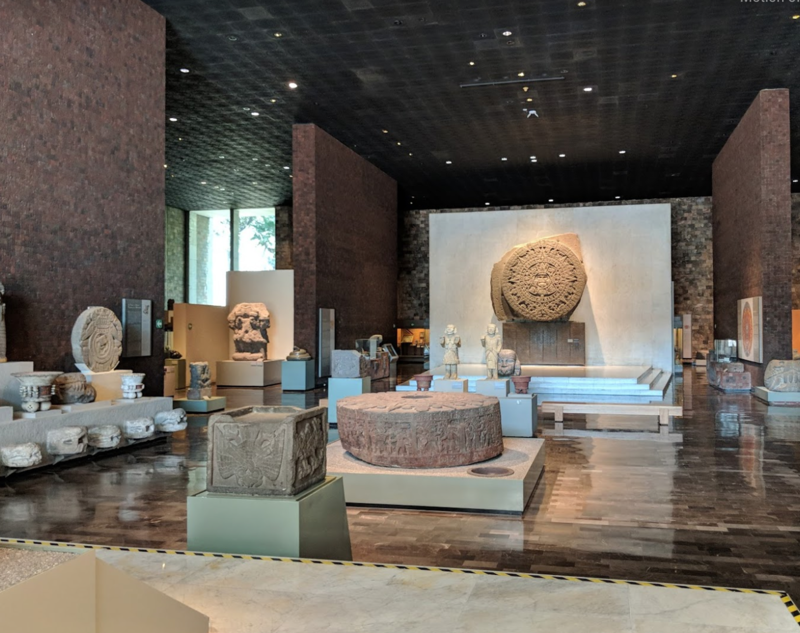 Besides the Museo de Arte Popular, another outstanding museum that is a MUST-SEE is the Museo Nacional de Antropología. 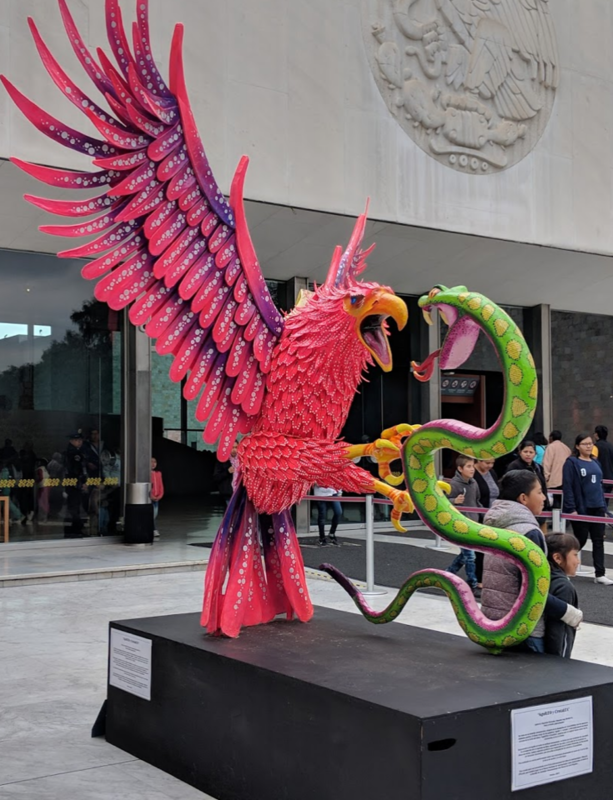 It is the most visited museum in Mexico and also the largest. 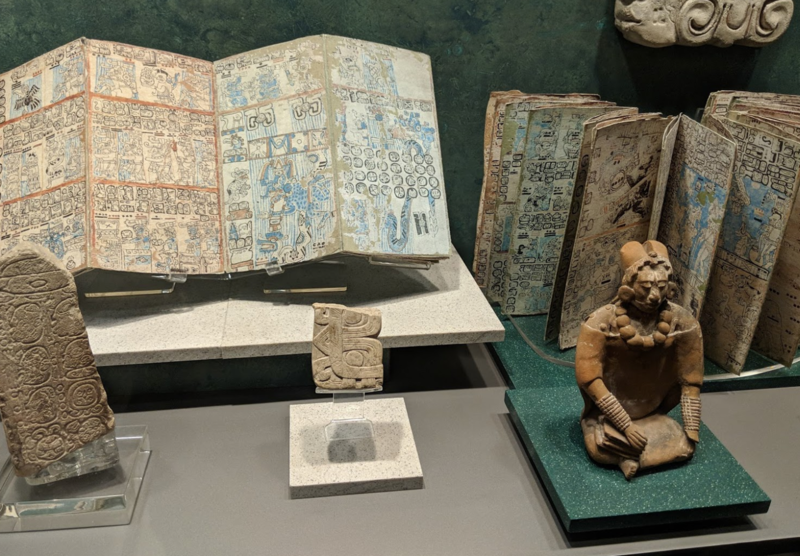 The collections are world-class. 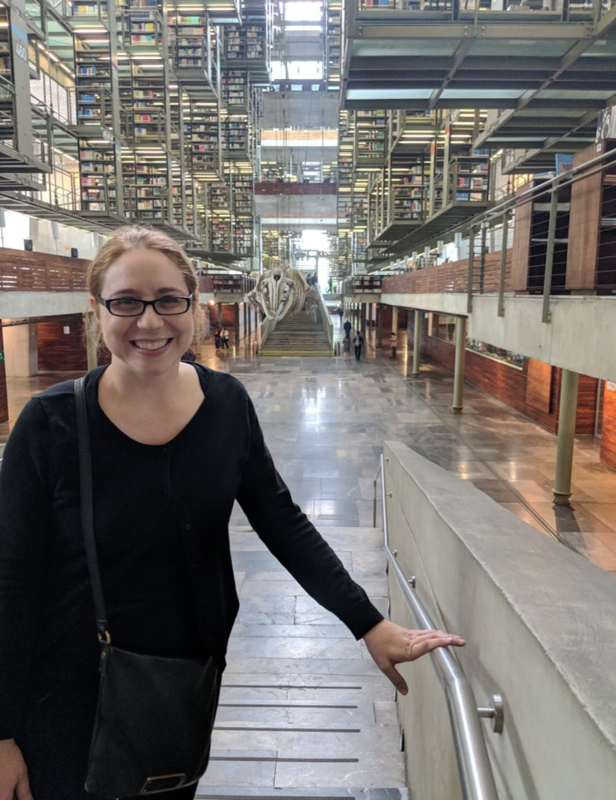 The collections are prodigious and impressive. It's not just an indoor museum. 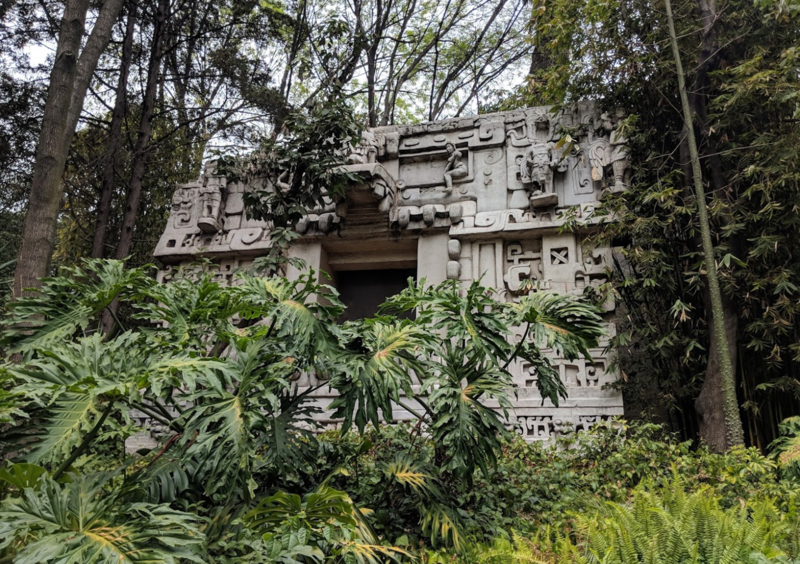 It also features outdoor exhibits featuring replica tombs, villages, and sculptures. 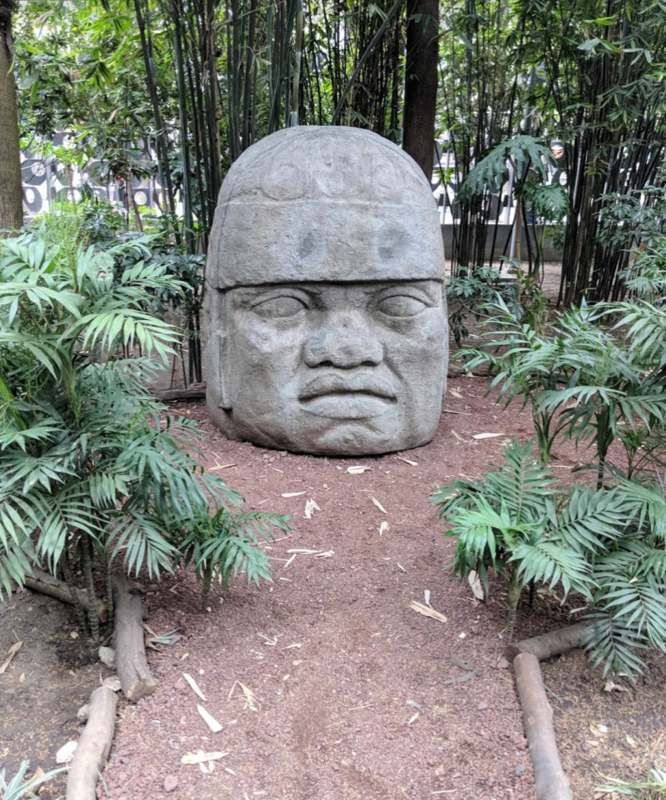 These Olmec stone heads are huge! 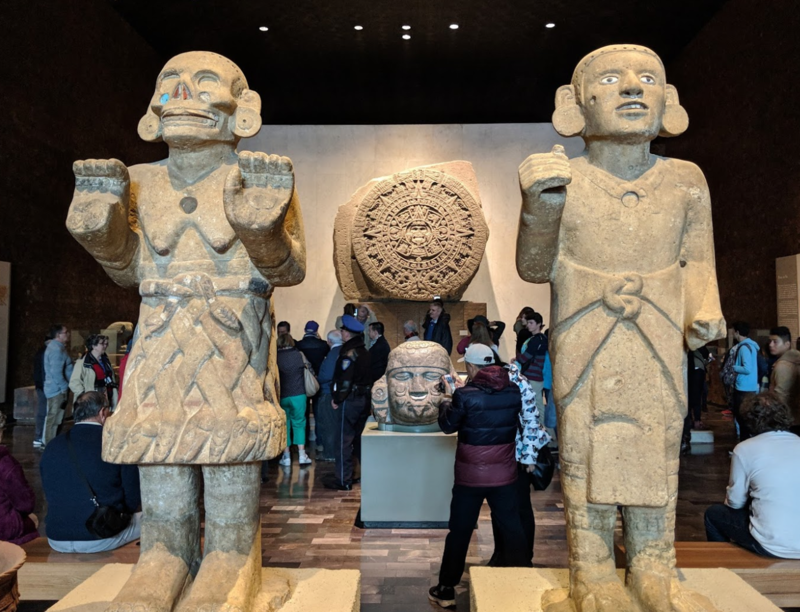 The museum could fill up a whole day going room by room. Very worthwhile. Now with a Victoria for scale. 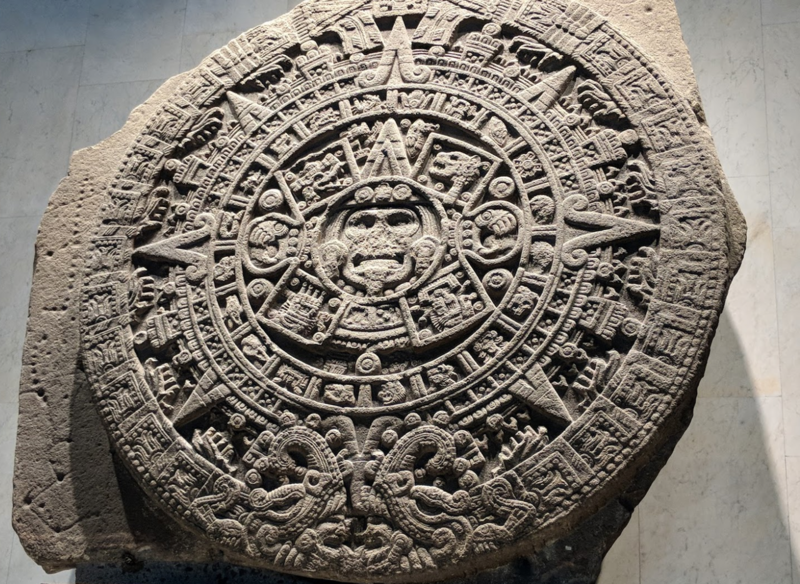 The Sun Calendar exhibit room. 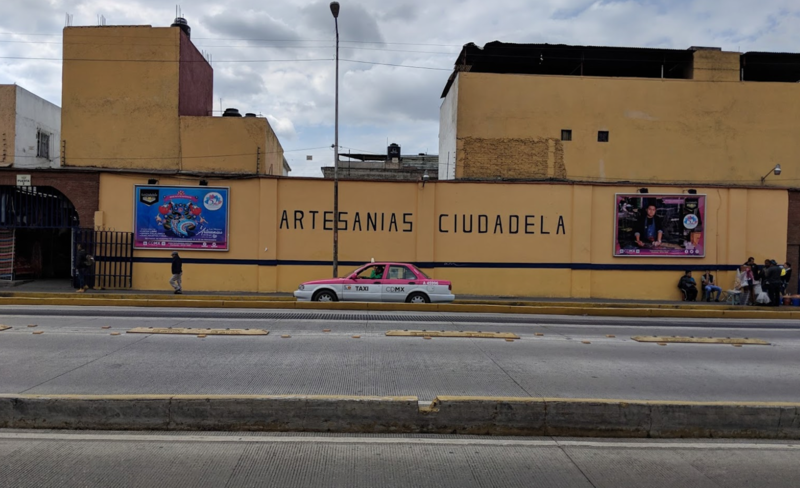 If you're looking to bring back some authentic Mexican crafts, arts, shoes, clothing, or even musical instruments or glassware - you can't go wrong with La Ciudadela. 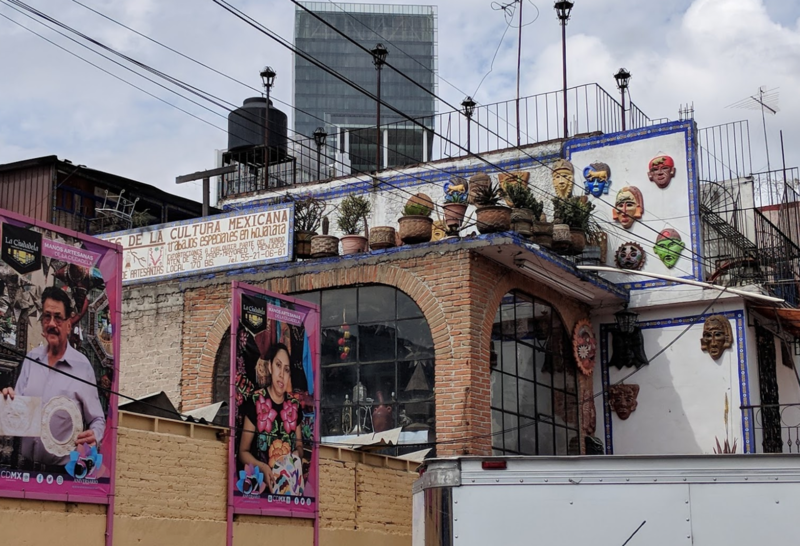 This massive complex features artisans and craftspeople selling their wares from all over Mexico. 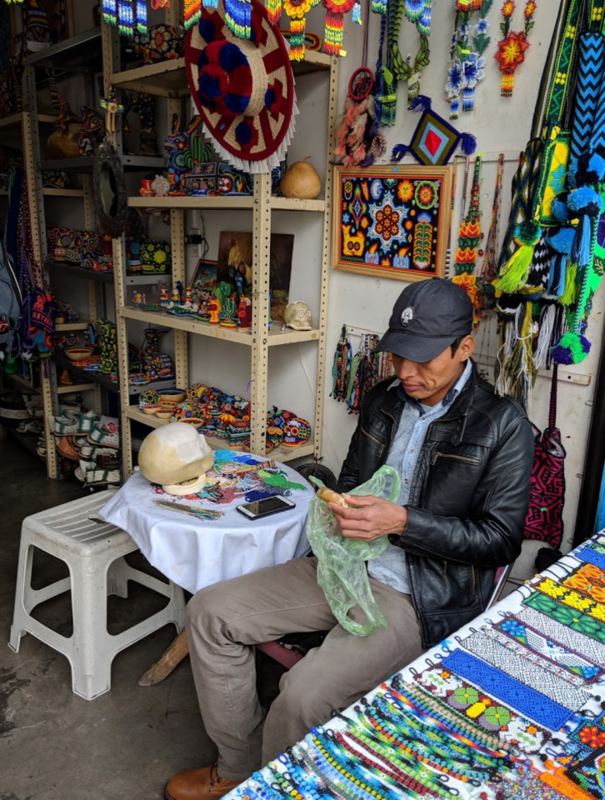 I love Huichol beadwork so I had to get some examples of the artform. You can see an artisan below pressing seed beads one by one into a wax-covered skull to make gorgeous patterns. It is an overwhelming experience. Come with cash and ready to browse. 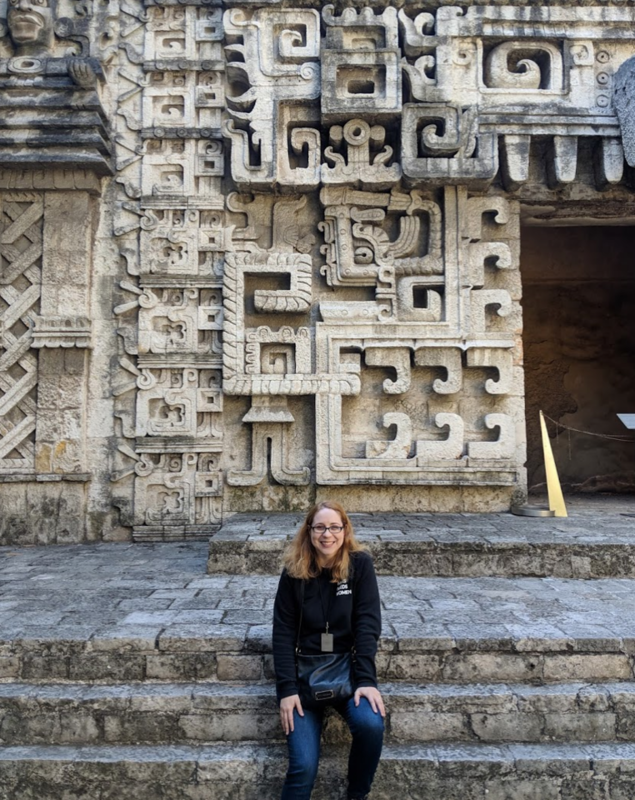 There are multiple vendors that specialize in similar things, and it can be easy to get disoriented, but we fell in love with some incredible alebrijes, embroidery, and more. 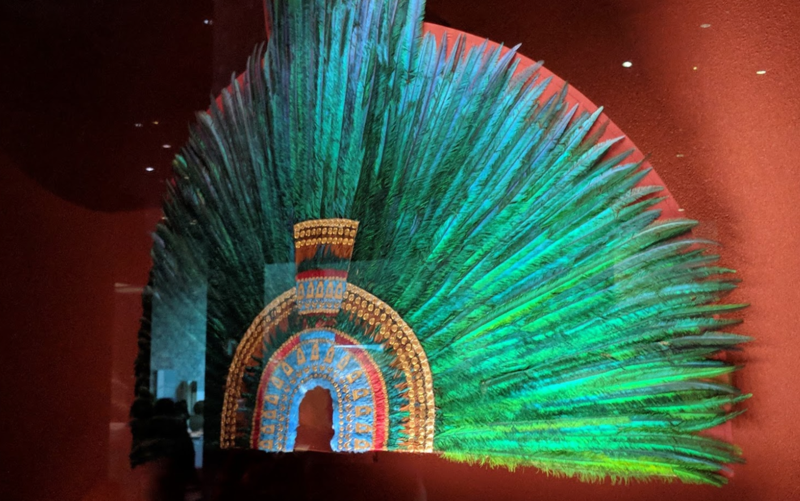 One of my favorite discoveries was the Mexican tradition of fortune-telling canaries. At Cantina La. 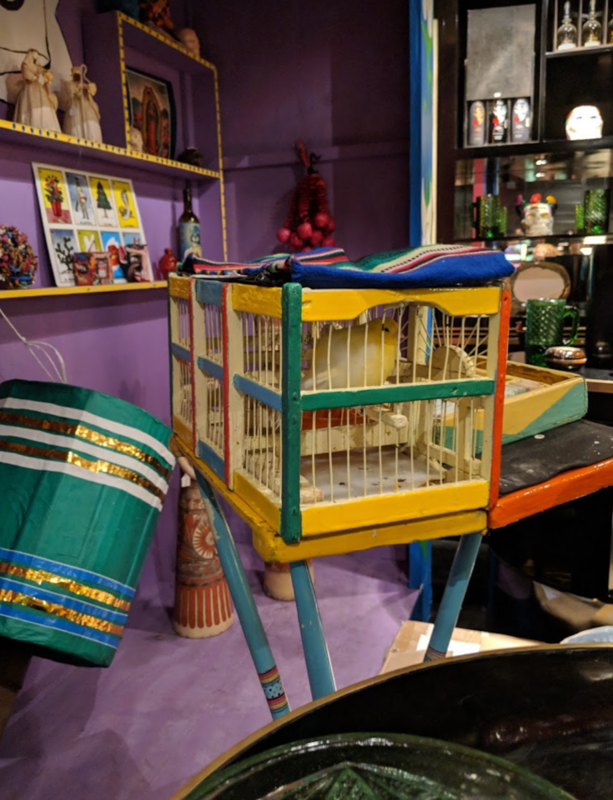 20 (which had delicious food and wonderful live music) I saw a gentleman carrying a small wooden box-cage on a stand around the restaurant and was curious as to why. I didn't get to capture it, but the little birds, after having some seeds, proceeded to pull a paper fortune out of the box of folded paper! It was magical. 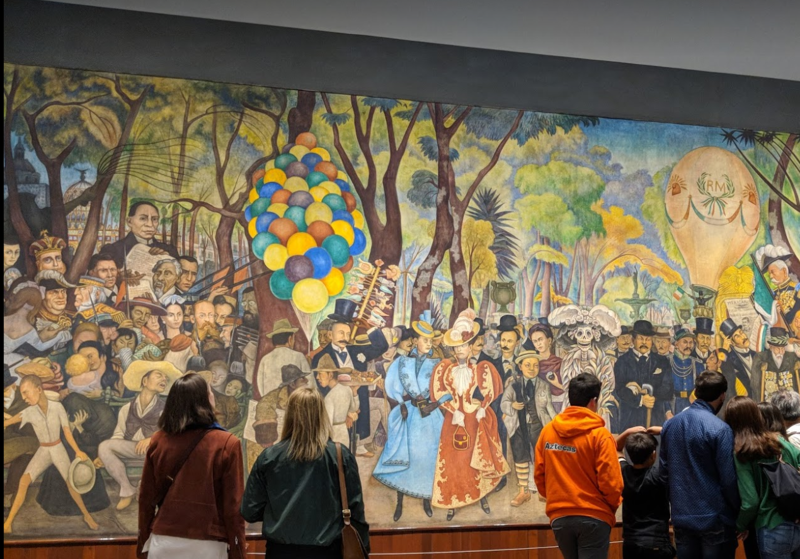 We also got to see the Diego Rivera Mural Museum. 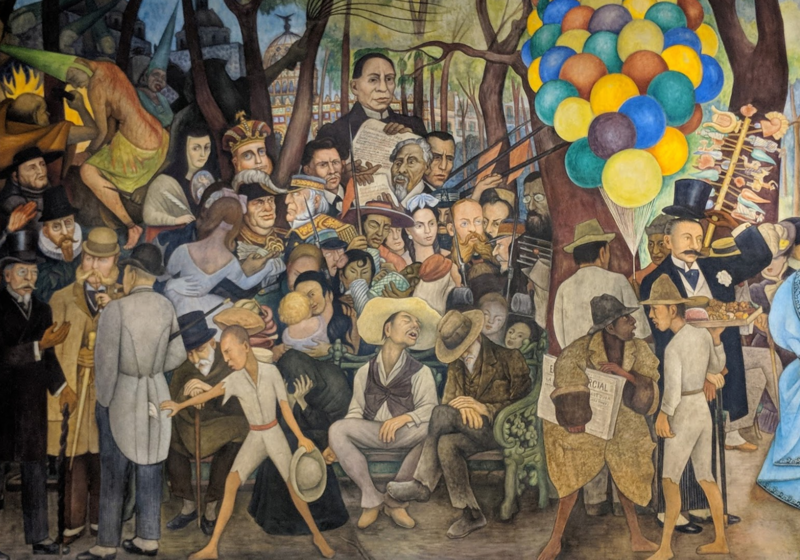 The museum is a small but well-curated collection that features Diego Rivera's most famous mural, "Dream of a Sunday afternoon in the Alameda." Along with other notable works from similar artists and periods. 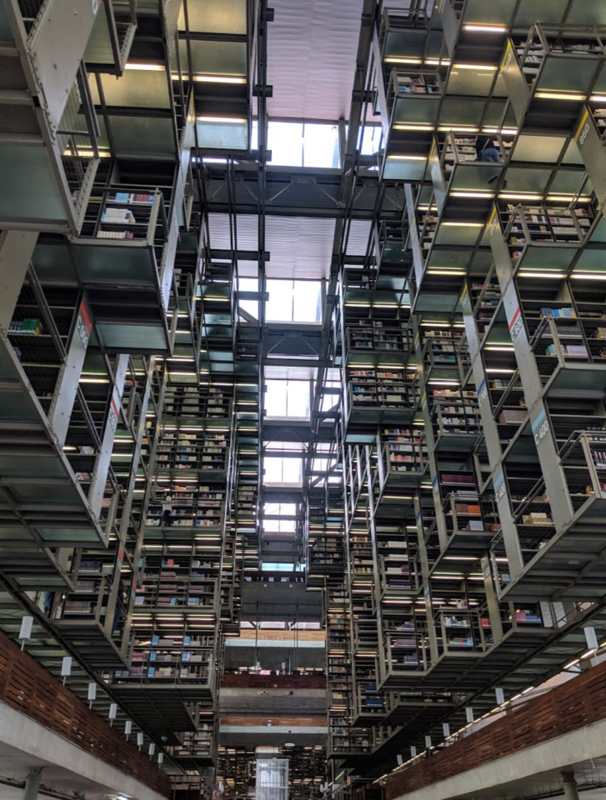 Last but not least, when I saw photos of the Biblioteca Vasconcelos, I had to see this incredible building for myself in-person. 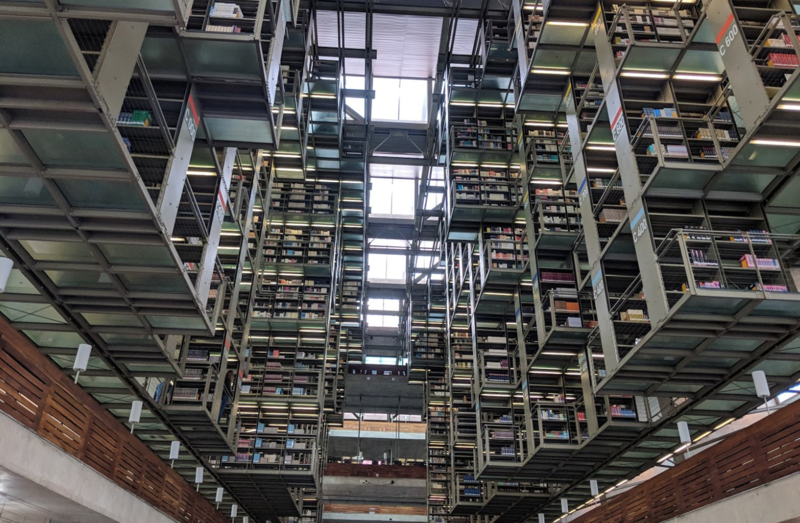 I made the mistake of walking there (don't do that, it's a long walk, and the library is right next to a busy bus station), but the interior of this hulking concrete megastructure will take your breath away.